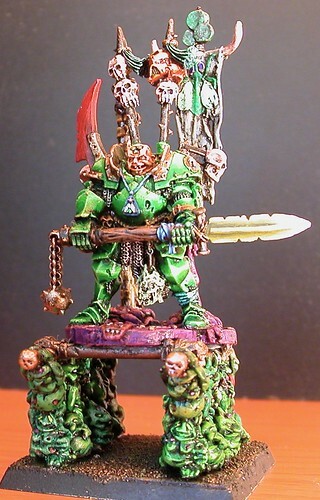 Once I maintained the most popular Nurgle webpage on the Internet. I spent considerable time and effort updating it and fending off challenges from the Wikipedia, pornographers, and online haters. Looking over my year end analytics it was saddening to see no Nurgle anywhere near the Top 10. It is true I have little time for the hobby of miniature painting or Warhammer 40,000 and my models are far away and in storage but there is a lot of content sitting in obscure corners of the Internet that I can highlight. You may be asking yourself, what is Nurgle, well have I got a webpage for you. 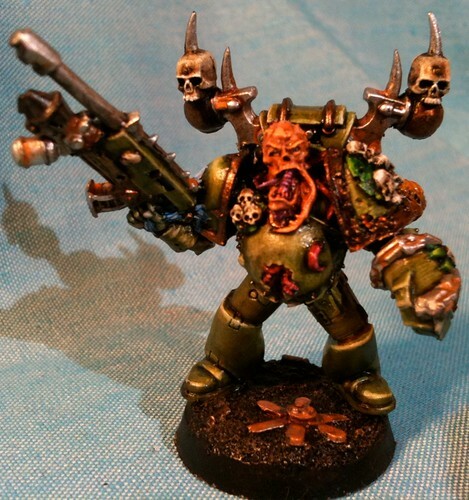 However if you know Nurgle and you love Nurgle, I’ve collected the best Nurgle content I have online into one blog post for your enjoyment. You can view all the posts tagged Nurgle at Muskblog and at all the posts tagged Nurgle at Musk’s Miniatures easily because I care enough to maintain a good taxonomy. But wait you want more pictures, pictures of painted miniatures, collected and curated and easily shareable over social media. 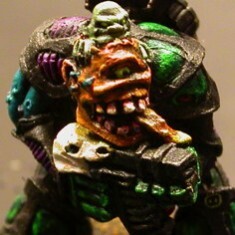 Well have you heard of Pinterest, I maintain a very popular collection of cool painted miniatures on Pinterest. 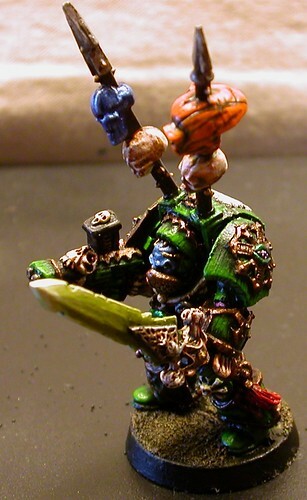 And if you guessed I share a lot of cool Nurgle miniatures on that social network, you’d be right. For my own personal collection of painted miniatures I prefer Flickr. I really should take some newer better photos of some of my old models, but I do have 100s of old pictures on my laptop, I could repurpose. 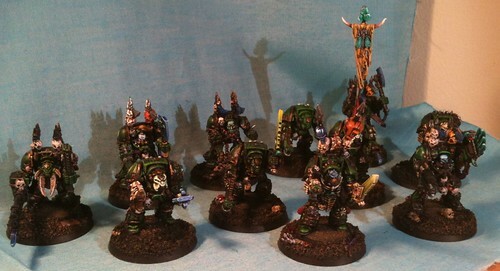 I of course can easily share my photos on Flickr to this blog, but before I do here is all the battle reports I’ve typed up involving the Diseased Sons, my Nurgle Chaos Spacemarine Army. None of them are for the current edition of the Warhammer 40,000 rules. 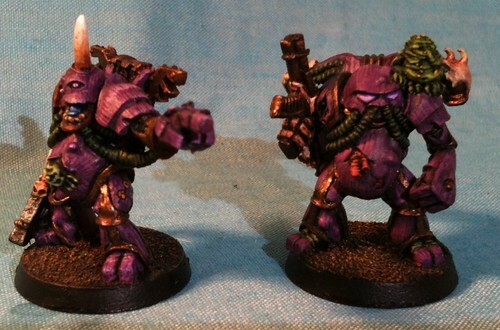 This entry was originaly posted on January 1st, 2016 , it was last edited on January 7th, 2018 and is filed under: Gaming and tagged: 40K, Chaos Space Marines, Miniature Painting, Nurgle, Warhammer.